Christian Democracy: Return to the Jungle? Only as the organized labor movement slowly made progress, as it did in other industries, did employees begin to receive better pay, benefits, and less dangerous and unhealthy workplaces in the meat trade. The most effective organizing efforts were led during the Great Depression and World War II years by the United Packinghouse Workers of America (UPWA). The influence of unionization in private industry, not just limited to meatpacking workers, rose at a post-war time when America experienced a great upswing of affluence from a booming economy. Up until the 20th century many modest households in the U.S., and certainly in Europe and elsewhere, did not eat meat with the regularity of modern Americans. Societies with religious disqualifications against eating certain animals or any animal flesh can be found throughout the world, such as the halal and kosher traditions of Muslims and Jews respectively, or those found among Buddhist, Hindu, or Shinto cultures which have historically limited the intake of meat. 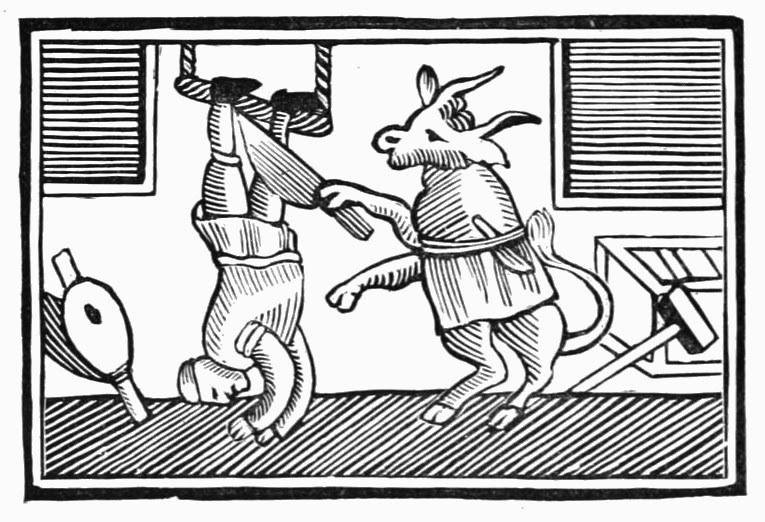 Many European peasants and lower class urbanites may have only had meat at festive times of the year (e.g., Easter) into the 19th century, and their Chinese counterparts rarely had occasions to consume meat until well into the 20th century. 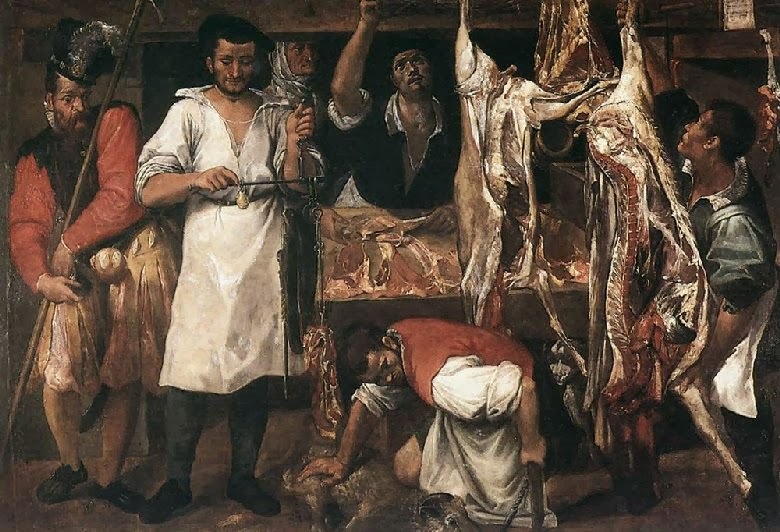 Meat eating was then a mark of affluence in society because it entailed that the household could afford the expensive commodity of animals on their land, or could buy the meat from others. Preserving meat before it could spoil also meant that the meat-eating family could effectively utilize storage and possess the materials available to brine, cure, and salt it which were beyond the means of most. As American meat consumption rose with increased societal affluence, so did the fortunes of American meat industry workers due to the demand of their product. Meatpacking work is never going to be completely stripped of unpleasantness when done on a large-scale unimaginable to the community butchers of a bygone era. In most slaughterhouses and processing facilities the conditions can be very difficult. Killing animals is not an occupation many persons would seek. Even for those who are not performing the actual slaughter, the work is physically challenging. Depending on the facility and workstation, employees might labor in hot and humid conditions to sanitize their knives and saws; others might work in cold conditions where the animal carcasses must be preserved during processing. The mechanized aspect of large-scale, high-volume animal slaughter means that workers are expected to do fast, repetitive, assembly-line work that can lead to chronic hand, back, and other medical conditions. Employees routinely use dangerous tools like knives, carry heavy loads, hear frequent loud noise, and are exposed to potentially harmful chemicals used to speed up preservation or kill bacteria found in animal viscera or feces. In addition, production facilities can have slippery floors. As unpleasant a workplace as meat plants can be, eventually workers began to develop their skills into a specialized trade that took in-depth training and experience in order to perfect. Meat workers became a craft union similar to those of welders, carpenters, printers, electricians, and shoemakers, which had elements of an old-fashioned guild. New employees would need to spend time learning simple tasks and duties and would develop their way toward the jobs requiring more expertise rather than learning all that was needed in the first few days or months. Meat processing companies will likely always have a high turnover of employees due to the difficulties of this type of work, however the worker professionalization that occurred during unionization meant that more employees had a vested interest in their workplaces succeeding, and that, along with better pay and benefits, meant a happier and more stable workforce. With the stability also came more overall community sustainability as meat packers (and other industrial/manufacturing workers and skilled tradesmen) could more likely afford homes, and could spend dollars elsewhere in the community, thus expanding the local economy. With less tension on the job they were more likely to get involved civically. According to the PBS documentary series Now feature on meat processing, from the 1960s up to the 1980s wages in the industry remained better than average, perhaps as much as 14%–18% higher than manufacturing industries of similar size in the labor market. Adjusting for inflation, meat industry workers were earning the equivalent of $20 per hour up to the 1970s and early ‘80s. But consolidation and technological changes in the industry have worked to reverse the gains employees had made. When the UPWA was working to organize and represent worker concerns in the 1940s there were four big industrial concerns (and many smaller and, thus, less likely to be unionized companies) leading the industry—Armour, Swift, Wilson, and Cudahy. By the end of the 1960s there were only three main players: Iowa Beef Producers (IBP), ConAgra, and Cargill. 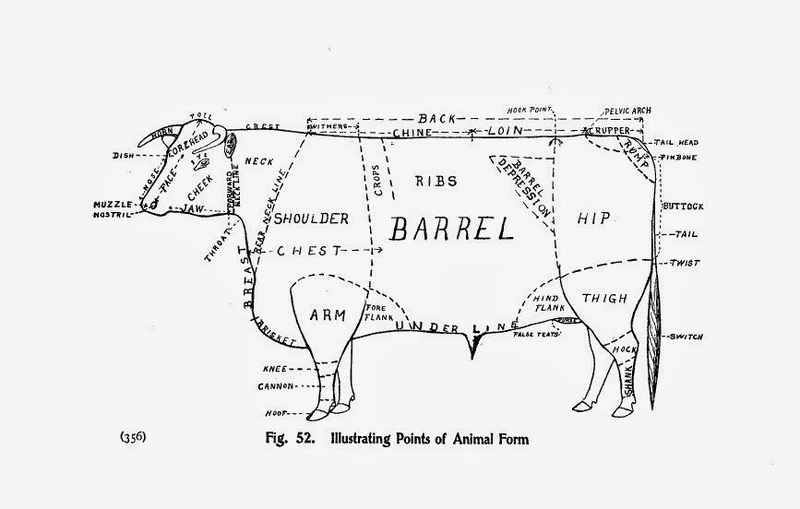 The consolidation occurred as big companies used improved distribution links, better preservation methods, and increased consumer demand for meat to become more profitable. IBP, in particular, pursued methods that at once made some of the more dangerous and unpleasant aspects of slaughter more mechanized but also allowed it to cut labor costs as the work became less specialized and required fewer man-hours of training and craft expertise. Similar to how the giants of the oil and gas industry became bigger and bigger as they took more of the allied industries under their own house rather than working with middlemen, becoming responsible for all exploration, production, refinement, distribution, and sales, so too did “Big Meat”. The companies often own their own herds of cattle or pigs, or can get them inexpensively from the declining base of independent ranchers. With few competitors among the Big Meat concerns the small-scale animal raisers have few options, and Big Meat members now primarily own their own feedlots rather than requiring sub-contractors. They also do their own slaughtering and processing. As companies began to move their operations away from urban centers to where land was cheaper and closer to the source of their commodities (i.e. the animals), they also recruited workers less likely to unionize in rural areas, and, in any event, required less skilled employees. The slaughterhouse industry was able to meet the demand for its products by speeding up production, delivering its goods to market quicker, while, over time, cutting its labor costs. Big Meat also benefited from the rise in another consolidation of the marketplace: big supermarkets (particularly national and regional chains) that provided a more predictable and profitable sales place as supermarkets replaced the traditional small, independent, neighborhood butchers. 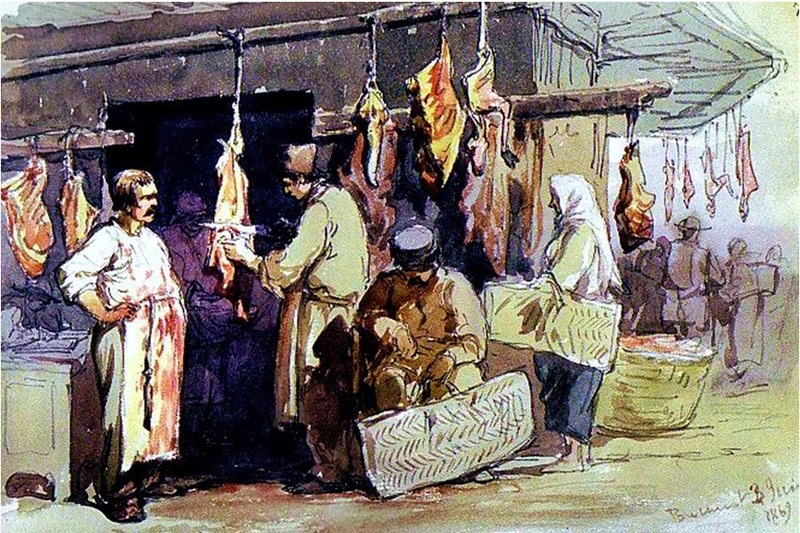 What had generally happened in the earlier days of the meat industry was that less fine processing of animal carcasses took place in the plants, and these larger cuts of meat were delivered to small shops where skilled butchers would then use their training to reduce the meat to types of cuts and selections their customers desired. But the big companies found that selling directly to supermarkets also provided the opportunity to process the cuts in-house so that they arrived in the form shoppers wanted without an intermediary. Having big, regular customers also provided ongoing feedback about any changes in purchasing habits. This part of the industrialization of the meat industry also led to chopping off additional skilled workers, the butchers of the Ma and Pop shops, and less training required of those meat department workers within most supermarkets, meaning that here too labor costs were cut. The consolidation and labor force devolution in the meat industry has led to a situation where wages have declined, and many of those who prepare a staple item in the vast majority of American plates are not American citizens, or, increasingly, may be part of a supply chain outside of the United States. According to the U.S. Department of Labor’s Bureau of Labor Statistics (BLS) job titles like “Production Occupations”, “Food Processing Workers”, “Butchers and Other Meat, Poultry, and Fish Processing Workers” and “Meat, Poultry, and Fish Cutters and Trimmers” all have median hourly wages below $11.50, and annual median wages barely above $26,000. These earnings are near the Federal government’s poverty guidelines level for a family of four. This is a marked change from the time when wages in the meat industry were above average compared to manufacturing generally. Those wages are below average today. If the manner in which food recalls are handled is a surprise, then the USDA’s pilot program to further deregulate its role in the food industry will come as quite a shock. Under this plan the USDA would allow the meat and poultry industries to be responsible for more of its own inspections. The obvious potential for conflict-of-interest should be alarming, especially since the GAO and USDA inspector general has already criticized just such a plan. The European Union has already decided to ban Australian meat imports after a similar privatization plan began there. One benefit of the high volume mechanization of the meat processing industry is that it has made the product very inexpensive, unlike past eras when regular consumption of animals was beyond the means of most households. The former CEO of the industry trade group American Meat Institute, Patrick Boyle, agreed in an interview with PBS’ Frontline documentary “Modern Meat” “that the price of beef today is about half, in real dollar terms, what it was in the 1970s.”  American ingenuity has resulted in a situation in which supermarket shoppers can often buy a pound of ground beef for no more than, or even less than, a pound of many types of fruits and vegetables. As we have seen, however, this relentless efficiency has been achieved through consolidation, supply chain integration, labor cuts, and growing deregulation. There are also major environmental and health concerns that are mounting due to the increased diet of animal proteins. According to the United Nations’ Food & Agriculture Organization (FAO), 75% of the world’s poultry, 50% of the pork, and about 67% of eggs come from industrialized meat production facilities. Like many heavy industries of past decades, the footprint these operations leave on their local, regional, and even world environment can be devastating. FAO’s LEAD initiative has determined that the meat industry has had a big part in the growth of global warming. Livestock production accounts for 18% of world-wide greenhouse gas emissions, due to it being responsible for 9% of all carbon dioxide and 37% of all methane gas emissions. LEAD is also concerned that nearly two-thirds of all the Earth’s agricultural land is now being devoted to developing food for livestock who will become part of the mechanized system, while only 8% is employed to grow foodstuffs for human consumption. If the developing world’s population increases their consumption of meat as they have economic gains more agricultural land and livestock will be required than even what is currently utilized. The hundreds and, increasingly, thousands of animals, in feedlots need constant sources of fresh water, and land that may have previously been forested or grasslands. This will result in soil erosion, pollution, fertilizer runoff into waterways, extremely unpleasant odors, and animal waste problems. How are we going to address the very real problems of the industrialized meat production system in a country where we enjoy our share of hamburgers, fried chicken, bacon, and hot dogs? There are several threads that must be pursued to bring back a more humane, healthier, and sustainable food supply future. There is discontent among farmers, who are beginning to take action. Small and independent cattle ranchers have seen their bargaining power implode as they have fewer buyers. High Country News reported that between 1980 and 2009 the per pound (adjusted for inflation) amount a rancher received for its cattle plummeted by more than half from $1.97 to 93 cents. They believe that the Meatpackers are secretive about prices and are often avoiding small producers altogether. Not only have farmers supported efforts through GIPSA but they have begun to take legal action against corporate interests. There are grassroots efforts to create “beef value chains” by which participants can determine fair profits based on the value of each input and output along the chain of production. Montana’s Western Sustainability Exchange  is working along similar lines while working to keep traditional open spaces, habitats, and rural economies strong. Some ranchers are also considering building their own supply chains to do an end-run around the packers and sell directly to markets and wholesalers. The situation among poultry raisers is more difficult. Christopher Leonard’s recent book, The Meat Racket, details, as the publisher’s description has it, "the hidden power structure that has quietly reshaped U.S. rural economies while gaining unprecedented control over the nation's meat supply." Most chicken farmers these days do not own the birds or even, unlike cattlemen, negotiate prices. They instead sign a contract with big outfits like Tyson, Perdue, or JBS which places them under a contractual obligation rather than in a more traditional seller’s position. The farmers are required to make the capital investment in housing and feeding systems under specifications set by the companies and whatever take-it-or-leave contracts are being offered. Many regions might only have one buyer. The poultry industry appears ripe for an anti-trust action. Second, the growth of the local food movement can be a strong force in reducing the mechanization and nationalization of the food system. Small farmers may be able to work in hand with the similarly small independent slaughterhouses and processors that face closure due to being outside the consolidation efforts. With more consumers becoming concerned and educated about the food they eat, farmers can potentially work hand in hand with processors who are more likely to work slowly, butchering fewer animals, and with more care. As networks of farmer’s markets, farm stands, and Community Supported Agriculture (CSAs) grow, a more traditional niche spot for meat might return instead of it supplanting other foods. Fourth, the consolidation and industrialization of the meat industry has hidden the true traditional costs of the expense of raising livestock for meat. If the value chain of producers, processors, and workers received a fairer return on their efforts meat would frankly be more expensive and consumers would likely respond by purchasing it more sparingly. Surely, a fast-food “value meal” processed hundreds of miles away shouldn’t cost less than local fruits and vegetables raised by a local farmer, should it? Ultimately, consumers must decide for themselves what they will prefer to buy and eat for themselves and loved ones. Those with a concern for the common good and care of Creation should consider the propriety of solutions that reinforce traditional economies, worker protections, and a more humane and sustainable scale of the food distribution system.